It is, in fact, possible to change the world from your dining room table. That’s what community builder Hadley Ferguson did in 2009, when she helped start the very first Edcamp in Philadelphia, PA with a handful of other inspired teachers she met on Twitter. Before Edcamp formalized into a Bill and Melinda Gates-backed foundation, the community sparked and grew while she shipped out supplies from her home to educators across the globe. 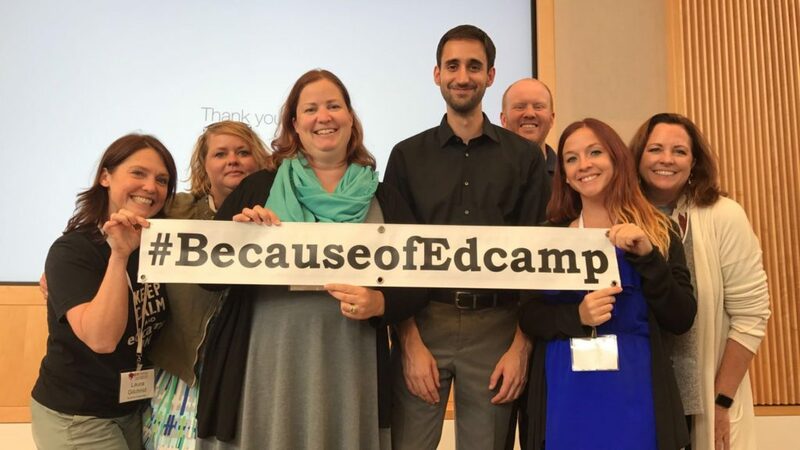 What are Edcamps? They are distributed unconference-type events that any teacher can run anywhere in the world. And, to date, there have been approximately 1,500 events, all organized by volunteers, with 375 in 2016 alone and a projected 600 more this year. Hadley has learned a lot along this pathway. A full-time middle school teacher when Edcamp started, she knows about the challenges of juggling community priorities and dedicating herself to her community’s success. Today, as Executive Director, she is responsible for scaling this distributed movement and equipping her community with the tools they need to shape an educational movement. How do you create fully distributed events for a brand, association, or non-profit? 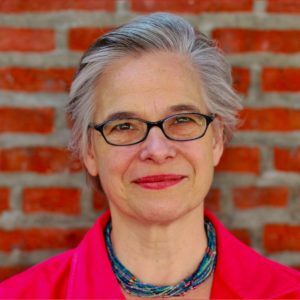 What are some of the predictable growing pains that a program like this faces, and how can you work to mitigate the challenges? How do you build trust with your members when you’ve never met face to face? How do you quantify not only business impact, but the larger social impact of your community? Today, we delve into these questions and more with the builder herself, Hadley Ferguson. Carrie Jones: From your perspective, how do you think Edcamp grew to be what it is today? Hadley Ferguson: Well, I believe that part of our expansion is that we’ve followed the social media hockey-stick curve straight up. The founders of Edcamp all met on Twitter because educators were early adopters as a way to share best practices and resources. And so we hosted the first Edcamp. Teachers came from all around the Tristate area here from Pennsylvania, from New Jersey, from Delaware, New York. In that first year, there were several more, and then it just exploded from there. CJ: What made it possible for these events to scale so quickly? One of the things that we really believe was at the root of it is that we kept the model really simple. The events have to be free. For a lot of teachers, if they want to grow professionally, they have to find funds, either personal funds or ask their administrator for the cost of a conference. And we really wanted to make it so that if teachers wanted to learn on a Saturday, all they had to do was show up. Then we wanted it to be open to everyone, so that it wasn’t just a select group of people. We really believed in the cross-pollination of ideas that comes when you have got public school and charter school and parochial and independent and homeschooling parents, and anybody who’s interested and passionate about kids can get together and talk. Then, it needed to be participant-driven rather than there being a call for session topics. It was really the teachers who showed up who got to decide what they wanted to talk about. The heart of an Edcamp is these conversations, and so as long as you have a space for conversations, then an Edcamp could go on. CJ: Interesting, so if someone’s event doesn’t conform to that, like if they have a keynote speaker, it can’t be called an Edcamp? We do have a trademark on the name because we want as much as possible to keep it as clean as possible. So that 10 years from now, when you say “Edcamp”, it means the same thing that it means right now. If someone gets in touch with us at the Edcamp Foundation and lets us know that our name is being used improperly, then we get in touch with them. CJ: So how long did it take for Edcamp to become a foundation? We formed the foundation in 2013 because we had a number of tech companies getting in touch with us saying, “We would like to support Edcamp with $200 or $500.” In order to facilitate them doing that, we needed to form a foundation. Most Edcamps up until recently have been doing all their own fundraising; they get everything organized, it’s a simple enough model. And it’s only been in the last two years (2015 and 2016) that the foundation – thanks to our grant from the Bill and Melinda Gates Foundation – has had the wherewithal to start having programs that actually reach out and support the community. CJ: Going back to before things were where they are today, what tools did you use to actually scale this? Mostly, it was that we made it possible for people to call the founders or early Edcamp organizers and ask questions. From the beginning, there was a blog, and there was a wiki that had tools on it. The how-to’s were so simple, that other educators could follow the model without too much trouble. But I think also some of it was just trust in the community. Our wiki has been wide open since the beginning. For the most part, the people in the Edcamp community are connected to each other digitally. There is a very real sense of being part of a community or joining a community that is vibrant and engaged and that protects us. CJ: Tell me about the team that you have today now that you’ve expanded. Until recently, it was just my Director of Operations, Allison Modica, and me, and it was just a matter of which ball was the closest to the ground and who can grab it fastest and throw it back up. Now we have a Program Manager (Justine Ledonne) and an Urban Initiative Manager (Racquel Johnson). Justine has been working on the “Edcamp in a Box” [the kits that Edcamp sends out to local organizers] and setting up systems for that. Allison and I just did a lot, and now we are sort of fully passing that off to some other people, getting our database set up, and things like that. We are actually getting systems in place that are going to move us forward more effectively. CJ: Speaking of systems, I was reading an interview on EdSurge from 2015, where you had said there was no master mailing list or data to see the social impact of your work. What tools are you now using to be able to quantify and organize some of this? One of the things that we are setting up is on our website so that organizers are going to be able to have their own registration forms through us, so that rather than being in the dark about attendance and impact of the movement, we will have data. The registration will go through us, which will also mean we can start doing things like sending out newsletters and updates on the movement. We didn’t know how many people had been to an Edcamp in 2014. We had so little at that point, and I was like, “Well, I know there were 275 Edcamps that listed themselves on our wiki, now that’s not all of them, but I can guarantee 275.” But they ranged in size from 20 people to 600 people and the average is 75 or 100, but I couldn’t with any degree of certainty say there were 2,000 or 10,000 people who attended. I’ve talked about centralizing the registration at the Leadership summits that we have had around the country, and the organizers – rather than feeling like we’re intruding – are excited. So I’m excited about the fact that we may – a year from now, or two years from now – really be able to say: this number of people registered for an Edcamp in the last year, this number of people attended an Edcamp, this number of people out of that filled in our survey, and we now have some data about the impact of attending an Edcamp on their classroom. CJ: It’s great to hear that your organizers are happy about this after you got their buy in. That speaks to the trust that you have built. You can’t just start like that and then expect people to trust you right off the bat. Well, they see connecting with us as a way to really build the community and show the power of the community. I think it helps that some of our people are the new organizers, but some of them are people who have organized Edcamps before the foundation had any money to give out. And so that sense of being isolated and out there working by themselves is something we are doing away with. CJ: Is there an online community right now? Is there a way for people to meet each other online as well as in the offline events? For the most part, it’s still Twitter and Facebook pages of individual Edcamps. 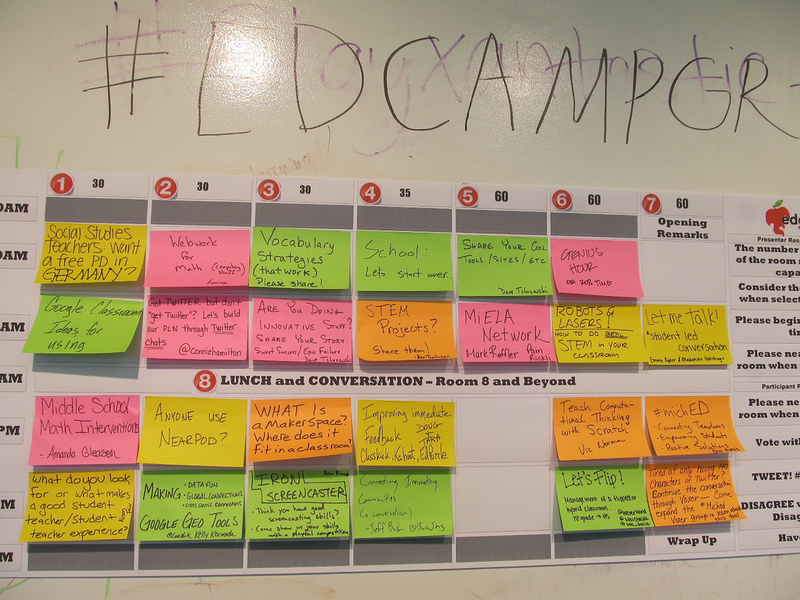 The interesting thing is that a lot of people who come to Edcamps are very active in the social media world. But part of what they love about an Edcamp is it puts faces and real people to that social media realm. I think it’s interesting the power of that face-to-face. We still are social creatures, and figuring out how to balance that as we move forward I think is going to be an interesting challenge. CJ: Absolutely, and when you said we don’t know what the world’s going to look like in 5 to 10 years, I couldn’t agree more. Look at virtual reality and things of that nature. How do teachers at Edcamps prepare for these things? What gets talked about at an Edcamp is so dependent on who shows up, but virtual reality is definitely a topic that is discussed. We have teachers who are just barely getting laptops in their classrooms, and then we have teachers who are well beyond that. But there’s always those people who show up at Edcamps who want whatever the next cutting-edge thing is in technology and are interested in figuring out what we do with that in the classroom. CJ: That’s interesting in that it speaks to the wide gap in a lot of schools. I’m curious if you see Edcamp as a space to close that gap, especially addressing some of the underfunding of public schools and things that are happening today with the political landscape that we are now facing in the US. Do you see this as a way to serve that need and make forward momentum there? 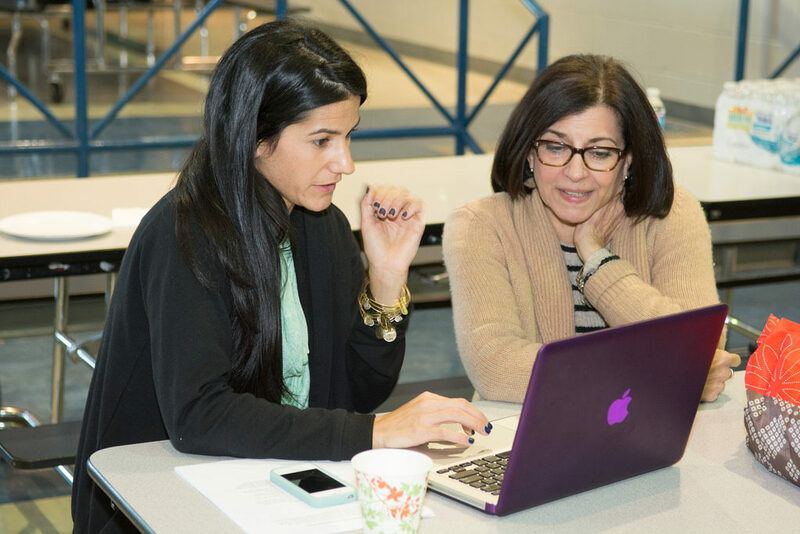 Well, one of the things that happens at an Edcamp is that teachers – especially if they feel isolated in their own schools – develop partnerships and connections across school and district boundaries. And so a lot of times what you’ll see is a teacher from a well-funded school reaching out to or connecting with a teacher from an underfunded school and trying to see how can they partner together. The bottom line is it’s all about kids. That’s what teachers care about. Edcamps have not historically been a place for complaining. They’ve been a place for finding answers. And that’s very much what we want going forward. The board just unanimously passed an anti-harassment policy for the foundation, but also we are asking all of our Edcamps to post it on their websites. We want it to still be about kids and for everybody to still feel safe there. CJ: Can you tell me more about that anti-harassment policy? It is a code of conduct, but it also goes into what to do if you are feeling uncomfortable. 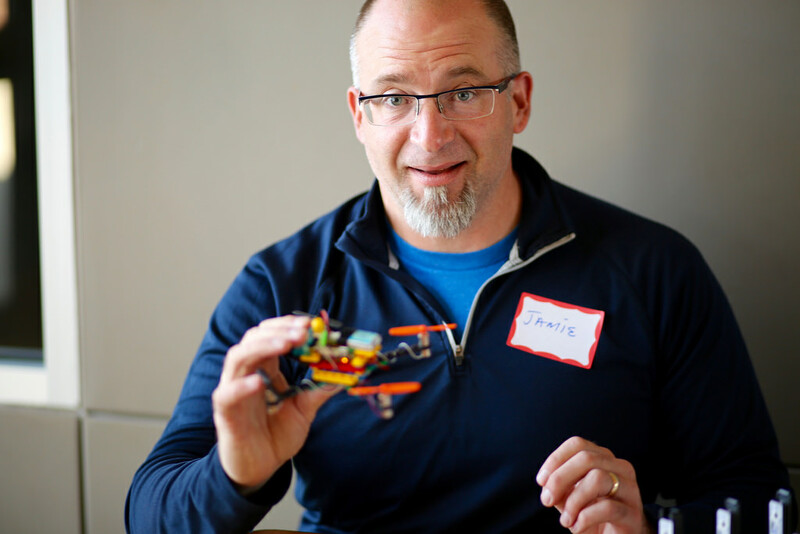 It asks the organizers to identify themselves at the beginning of an Edcamp so that everyone knows if they feel uncomfortable, these are the people to go to. It gives the organizers ways to provide a safe environment for them. It also provides for if there’s any concern if an organizer is causing problems. Then they get in touch with the Foundation so that we can look into it. But the goal is really to make sure that Edcamps maintain safe spaces for anybody who comes. CJ: One thing that I’ve noticed in establishing codes of conduct is that, when you have them, you actually get a lot more complaints. At first, that can feel like a bad thing, but it’s actually a good thing because you have opened up these lines of communication where before people were silenced. We will see, since the board passed and they passed it unanimously, I have talked about at two summits so far, and it just got a round of applause. CJ: How many Edcamps are you projecting this year? We have sent out 375 boxes in 2016, and we are projecting that it’ll probably be up to 600 by the end of 2017. One of the things that I just am working on is figuring out how to diversify our funding because we have so much growth. We just started our Urban Initiative, where we are taking the Edcamp model into inner-city schools. We are piloting it in Trenton right now, and we go in during their professional development time after school and run two hours of an Edcamp. But then we also bring in a catered dinner, so that they are drawing together different schools in the district to participate in their Edcamp and then after that to have a really nice meal to network amongst those schools. A lot of times, the teachers from the different schools don’t talk to each other all that much, they are much more just in their building. We are hoping to take that to five cities around the country in the next six months or so and just keep expanding that. The number of kids living in poverty going to schools that are in your standard inner-city situation, that is a huge problem to tackle, but that’s what we are trying to figure out. Studies have shown you want to keep teachers in the classroom, you don’t want them burning out, you want them to get energized and recommitted. And so part of what Edcamp does in a very simple way is do that. As a society, we have made a decision not to spend a whole lot of money there, but what can we as a foundation for not that much money go in and do? If you come in once every other month and host these dinners and allow teachers time to talk, can you begin to re-energize individual teachers wanting to stay in the classroom? CJ: Are you going to be measuring retention there or anything like that? We are hoping to measure retention. We are also hoping to measure absenteeism among the teachers to see if we can cut down on that. 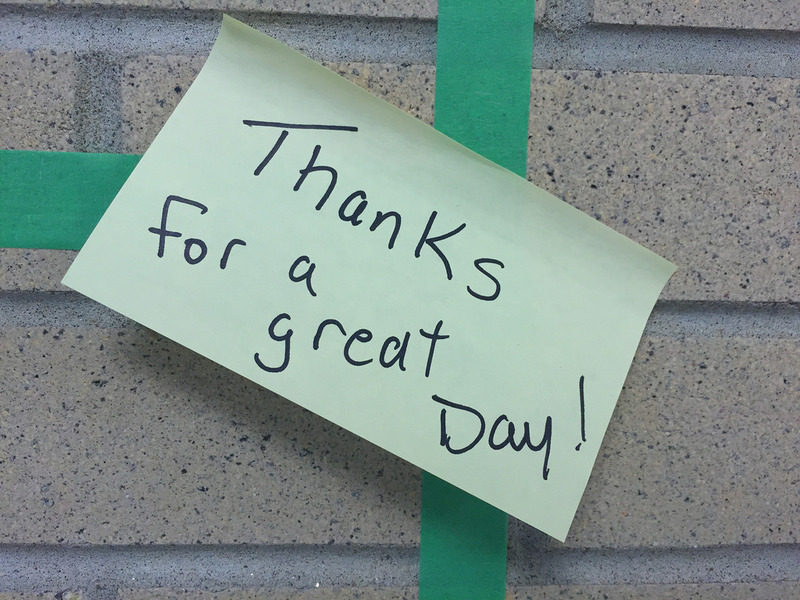 And then also just asking teachers: did their attendance at Edcamp have an impact on their students and how many new ideas did you learn at an Edcamp and take back to your classroom? The vast majority of teachers (I think it’s 87%) say at least four new ideas came from the Edcamp and ended up back in their classrooms. CJ: Is there anything else you’d like to add about your work? When you look at the growth maps of the Edcamps around the country and around the world, they make a lie of any notion that teachers are apathetic, or that teachers are disengaged from all the problems of the world. 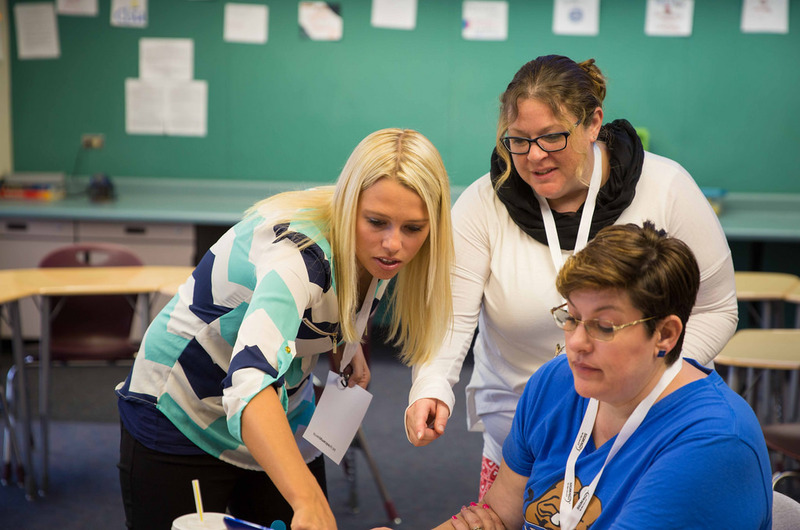 You only have to look at the growth of the Edcamps, which all comes from volunteer organizers taking it upon themselves to host this event to pass on the energy and excitement that they experienced to other teachers. Teachers are giving up their Saturdays to come and learn from one another. If teachers were all the things that our society says about them, Edcamp wouldn’t exist because nobody would show up, nobody would organize, and nobody would participate. And yet it has grown to almost 1,500 Edcamps around the world based on the fact that teachers are passionate and care tremendously about the kids in their classes.